Turkey Creek Fire Territory Fire Chief Mickey Scott along with a crew from 1-800 Board Up, an emergency fire, water and storm damage restoration company, are shown at the aftermath of a fire at 700 N. Huntington St.
SYRACUSE — Things could have been a lot worse if a passing motorist had not seen a fire coming from the roof at Shoemaker Electric LLC, 700 N. Huntington St., Syracuse, at 2:15 a.m. today, Friday, March 29. Because of the caller’s actions and the use of Turkey Creek Fire Territory’s aerial/ladder truck, the fire was contained to the second floor of the building. Firefighters arrived at the scene within two minutes of the call and had the fire under control at 2:40 a.m. A full assist was immediately called in from North Webster, Milford and Benton fire departments who hooked on to fire hydrants near the scene. 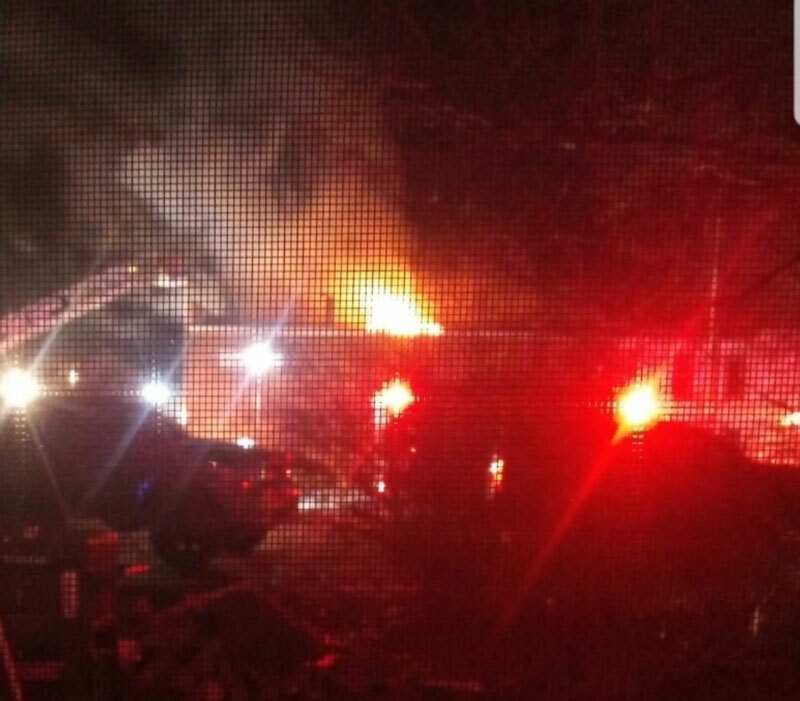 This photo was taken by the occupants of 604 N. Huntington St., early this morning. Turkey Creek Fire Chief Mickey Scott said three hydrants were utilized in case of a failure to any one of the hydrants. A vision of the entire block burning, such as a number of fires in the past in the Pickwick block came to the minds of firefighters. Scott stated the fire was accidental with extensive damage to the second floor in the two bathroom areas. Smoke damage was sustained in the barbershop to the east of Shoemaker Electric, at 102 Pearl St., and to the Revolving Closet, 702 N. Huntington St. 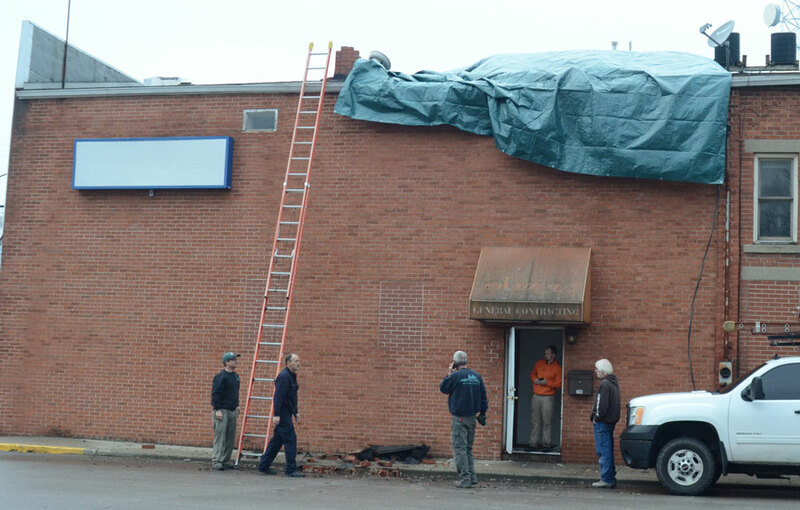 The building, built in 1910 according to county records and owned by Nate Shoemaker, purchased in 2017, was once the home of VanMeter Jewelry and Ganshorn Printing. Scott was shown a photo by the owner of the barbershop of a fire in what was believed the 1950s. Shoemaker mentioned to the chief this may have been the second fire to the building. Firefighters cleared the scene at 5:37 a.m.